Tameside College will be holding their annual apprenticeship awards ceremony on Wednesday 27th February 2019. The ceremony, that will be held in the Brooke Vincent Theatre at Clarendon Sixth Form College, celebrates the start of National Apprenticeship Week (4th – 8th March 2019) which recognises the quality and diversity of Tameside College apprentices, as well as highlight the benefits of studying and supporting apprenticeships. 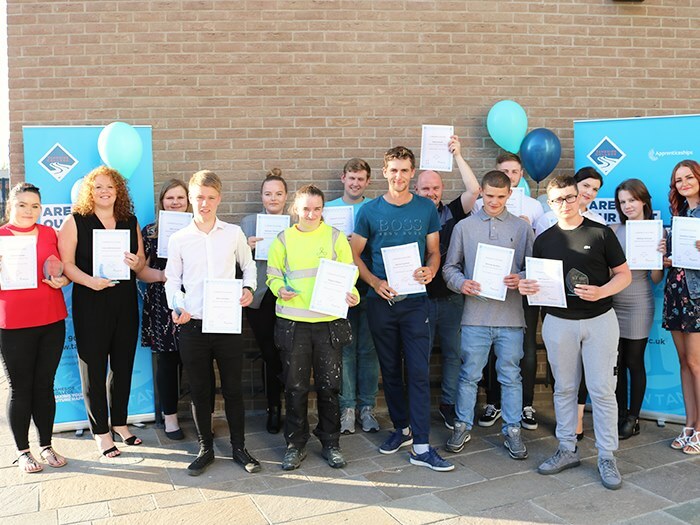 28 Tameside College apprentices from a range of subject areas have been nominated by their teachers and assessors due to their outstanding successes, their progression, achievements and commitment to their own professional development and that of their workplace. Apprentices will be joined at the celebration by their teachers, college senior managers, their friends and family and their employers. A special award for ‘Business of the Year’ will also be presented on the night. Those who have been invited are asked to RSVP no later than Friday 8th February to the contact stated on the invitation.